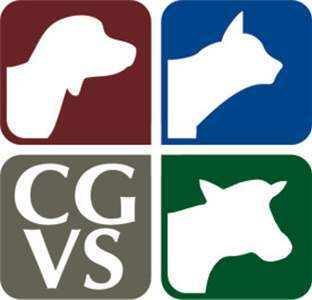 Cedar Grove Veterinary Services was founded in 1945 by Dr. Clarence Meeusen. For years the primarily large animal practitioner was able to provide service from his own home. In 1974, Dr. Meeusen had the foresight to build a veterinary clinic that would allow an expanded companion animal practice when the need arose. Dr. Ron Hinze joined the business in 1976 to meet the farm population needs. Dr. Mike Demianiuk joined the group in 1981 to help with both the farm clientele and enhance companion animal medical service. Companion animal veterinary care was provided in the afternoon. Dr. Vic Getson replaced the retiring Dr. Meeusen in 1984 and provided service for both the farm and companion animal clients. As the companion animal portion of the veterinary business grew, Dr. Robin Baker was hired in 1987 to meet this need. Now the companion animal aspect of the clinic was expanded to full day veterinary service provided by Drs. Demianiuk, Getson, and Baker. In 2000, Dr. Diane Dommer was hired and once again the small animal clientele needs could be expanded without sacrificing care provided to the dairy clientele. Dr. Dana Pionek joined the doctor staff in 2004 as a large-animal veterinarian to continue the quality medicine that the clinic has provided since 1945. In 2005, the owners elected to remodel and add an addition onto the original clinic. This would allow for more efficient service and a higher quality of care for our clientele. In 2014, Dr. Lindley Reilly joined the team as a large animal doctor to continue offering high quality large animal medicine. She has since started working with the local goat farmers to help meet their needs. Today companion animals (dogs, cats, rabbits, ferrets and pocket pets) are treated by Drs. Demianiuk, Getson, Baker, and Dommer. All seven veterinarians serve the food-animal producers in the area.